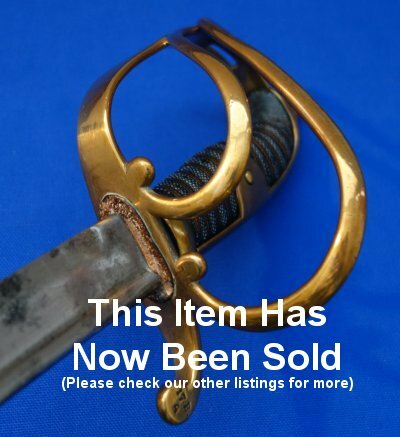 In very good condition, a rare Prussian made M1848 Danish Schleswig / Holstein infantry sword captured by the Danes in the First Schleswig War. 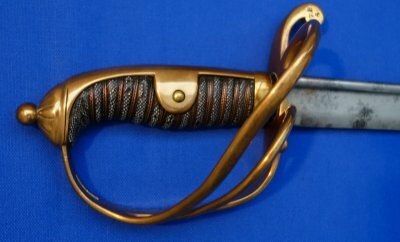 Possibly the most attractive infantry sword ever made. 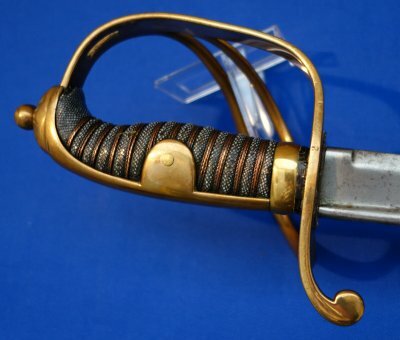 A Danish Schleswig / Holstein M1848 Sword, made by P D Luneschloss of Solingen. Regiment markings to quillon finale and the lack of scabbard show this is one of the swords captured and then used by the Danish forces (the original metal scabbards were replaced with leather ones that rarely endured the test of time). So this is a battle trophy of sorts, from the First Schleswig War. 27 1/4 Inch blade with maker / other marks, firm in hilt. Hilt good. Grip good. Grip wires look complete and sound. A rare and beautiful sword! Please quote item reference L41 (1219). Further / full-sized pictures available upon request.